Stanley Milgram’s obedience studies remain an important part of the discipline. Five decades after they were conducted, the key question persists – Why were so many ordinary citizens willing to deliver what they must have perceived to be excruciating if not lethal electric shocks to another individual? Recent methodological developments are helping investigators address this question. In addition, half a century of social psychological research identifies several aspects of the situation Milgram created that made it difficult for his participants to do anything but follow the experimenter’s instructions. On 7 August 1961 a man whose name remains unknown entered the basement laboratory in Linsly-Chittenden Hall on Yale University’s Old Campus and became the first participant in what is arguably the most famous experiment in psychology. That experiment, which would run until May the following year, was designed by a 27-year-old assistant professor whose name, half a century later, is very well-known inside and outside academic circles. Stanley Milgram (1963, 1974) conducted a series of studies in which participants were instructed, under the guise of a memory experiment, to deliver what they believed to be excruciating if not dangerous electric shocks to another individual. The purpose was to see how long participants would continue with the procedures despite hearing screams of protest from the man supposedly receiving the shocks on the other side of the wall. The unexpected and disturbing finding was that two out of three participants in the basic version of the experiment continued to administer the shocks long after it was apparent that the man being shocked had likely suffered serious physical harm. Upon publication, Milgram’s obedience studies received a considerable amount of attention. Many found the notion that an experimenter could encourage average citizens to deliver potentially lethal shocks to another individual unsettling. And the implications of the findings for understanding seemingly inexplicable behaviours like atrocities and genocide – a connection Milgram often promoted – added to the fascination. But perhaps more impressive than the immediate reaction to Milgram’s experiments is the fact that decades later people are still talking about them. No social psychology class or textbook today would be complete without a discussion of the obedience studies. From a personal standpoint, no work I have conducted has come close to generating the number of conversations, e-mail messages, media interviews, requests to speak, requests to write, etc. as did my partial replication of Milgram’s experiment a few years ago (Burger, 2009). After all these years, Milgram’s work is alive and well. Why? I can identify two reasons. First, after a long period in which ethical concerns kept Milgram’s procedures off-limits to researchers, some recent efforts to replicate Milgram’s studies using modified procedures have proven fruitful. 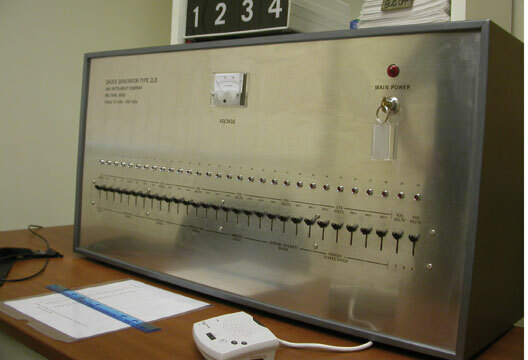 Guidelines and procedures put in place during the decade following Milgram’s work effectively prevented researchers from conducting a full replication of the experiments. These developments appropriately protected the welfare of research participants, but they also meant that countless questions about Milgram’s findings could not be tested directly. However, recently some investigators have gotten around these limitations by placing participants in a virtual-reality situation that resembles Milgram’s experimental setting (Cheetham et al., 2009; Dambrun & Vatine, 2010). Participants in these studies are presented with visual and audio stimuli giving the impression that they are in the same situation as Milgram’s original participants. I could make reasonable estimates of what participants would have done if they had been allowed to continue with the full procedure. In short, the partial replication procedure and the use of virtual reality provide possible avenues for addressing some of the untested hypotheses that have intrigued social psychologists for decades. Second, I believe the enduring fascination with Milgram’s work is also driven by an ongoing desire to understand why so many of his participants continued to press the levers all the way to the end of the shock generator. Part of this interest stems from the important issues to which Milgram’s findings have been applied. The possibility of using our findings to prevent future atrocities is certainly important. But part of the interest comes from the fact that, for many observers, Milgram’s initial explanations for his results come up short. Today we know a lot more about basic psychological processes than we did when Milgram conducted his famous studies. For the past several decades, researchers have relied on that knowledge to develop a far better understanding of what led so many participants to press so many shock levers all those years ago. In many ways, social psychology was still in its infancy when the obedience studies began in 1961. It would be years before researchers would investigate psychological reactance, peripheral routes of persuasion, implicit attitudes, attribution errors, bystander intervention, self-schemas or groupthink. The best research in the field at that time was published in a journal shared with clinical psychology. Hence, Milgram’s (1963) initial report of his findings was published in the Journal of Abnormal and Social Psychology. Milgram thus had a limited body of research to draw upon when he set about trying to explain the psychological processes underlying the phenomena he uncovered. He described participants falling into an ‘agentic state’, a kind of altered state of consciousness in which ‘the individual no longer views himself as responsible for his own actions but defines himself as an instrument for carrying out the wishes of others’ (Milgram, 1974, p.134). I have compiled a non-exhaustive list of four features Milgram built into his procedures that made it difficult for participants to do anything but go along with the experimenter’s instructions. These four are: the use of small increments; diffused or missing responsibility; placing participants in a novel situation; and the limited amount of time participants had to act. As I explain below, each of these explanations derives in part from research published since Milgram conducted his studies. It is probably a tribute to Milgram’s genius that he seems to have intuitively anticipated many of the elements necessary to generate high rates of obedience in the experimental situation he created. Milgram instructed his participants to give the learner a mild 15-volt shock for the first mistake on the memory test and to deliver increasingly stronger electric shocks for each successive mistake. The shock levers increased in strength in 15-volt increments, i.e. 15 volts, 30 volts, 45 volts, etc. all the way to 450 volts. But what would have happened if Milgram had asked his participants to start with the 450-volt lever, i.e. the one placed beyond the DANGER: SEVERE SHOCK label and identified only with three red Xs? My guess is that few, if any, would have pressed the lever. A wealth of research conducted in the past five decades tells us that getting people to respond to a small request is an effective first step toward changing attitudes and behaviours. Pressing the first lever on the shock generator made it easier for participants to press the second lever, which made it easier to press the next lever, etc. At least two processes contribute to this effect. One is the oft-demonstrated need for consistency (Harmon-Jones & Harmon-Jones, 2007). The other is a self-perception process (Bem, 1972). That is, as they proceeded through the experiment, participants may have come to see themselves as the kind of person who chooses to deliver electric shocks in this setting or the kind of person who goes along with the experimenter’s instructions despite the learner’s protests. This change in self-perception then could have influenced subsequent decisions on whether to press the next lever. In this way, the procedure Milgram developed resembles the well-known ‘foot-in-the-door’ effect (Burger, 1999). In support of this interpretation, Gilbert (1981) noted that participants were most likely to stop their participation at certain points in the procedure. In particular, participants were most likely stop after pressing the 150-volt lever, i.e. the first time they heard the learner’s protests and demands to be released. Gilbert argued that the learner’s reaction represents a qualitative (rather than quantitative) change in the nature of the request. Continuing the procedure after hearing the protests may have been seen by some participants as a different act than they performed before the protests, a perception that allowed them to end their participation. Packer (2008) argued that participants must decide at the 150-volt point whether the learner’s right to be released is more important than the experimenter’s desire to continue the experiment. Once the decision is made that the learner’s rights do not override the experimenter’s preferences, each successive press of the lever reinforces that position. Milgram’s participants, who literally found themselves sitting between the protesting learner and the encouraging experimenter. Participants could easily have convinced themselves that the experimenter was responsible for the consequences of the shocks. They might also have assigned responsibility to the principal investigator who designed the experiment or to the university that apparently had sanctioned the experiment. Milgram created a situation that made it easy for participants to diffuse or deny responsibility for the consequences of their actions. In this way, he gave participants an opportunity to embrace something akin to the ‘just following orders’ defence often invoked by those accused of crimes against humanity. This perception was made even easier for participants who specifically asked the experimenter who was responsible for any harm that came to the learner. The experimenter replied that he, the experimenter, was responsible. We now know that people are more likely to engage in antisocial and aggressive behaviours when they are released from responsibility for their actions (Jaffee et al., 1981). Bandura (1999) has identified this absence of personal responsibility as a cause of moral disengagement that contributes to ‘the perpetuation of inhumanities’. Indeed, people are often motivated to attribute responsibility to others. Most famously, individuals are not likely to help someone in need as long as they can diffuse responsibility for taking action to the people around them (Latane & Darley, 1970). To examine the role of personal responsibility in Milgram’s experiment, I recently coded transcripts from my replication (Burger et al., 2011). Judges identified instances in which participants spontaneously made comments indicating that they felt personally responsible for the learner’s suffering. Among the participants who ended the study early, 66.7 per cent made at least one comment during the session suggesting that they felt responsible for the welfare of the learner. In contrast, only 12.2 per cent of the participants who followed the experimenter’s instructions to the end of the study expressed this sentiment. In all likelihood, Milgram’s participants found themselves in a situation unlike any they had ever experienced and one for which they had no preconceived ideas about what they should or should not do. Like most people who find themselves in novel settings, the participants probably started a desperate search for information to help them figure out how they were supposed to act. Where do people look for this information? Often they rely on the behaviour of others to tell them what they are supposed to do. If everyone else is doing something, it probably is the right course of action (Cialdini et al., 1990). In other cases, people turn to someone who knows more about the situation than they do. That is, if there is an expert nearby, people use that person as a source of information for how they are supposed to act. In the basic version of Milgram’s experiment, there were no other participants in the room and thus no norm information to be found. However, in one variation, participants observed two other ‘participants’ who dramatically refuse to press more levers (after 150 volts and 210 volts). The experimenter then turned to the real participant and asked him to continue. In this version of the experiment, only 10 per cent continued to the 450-volt lever. On the other hand, I included a condition in my replication in which participants saw one ‘participant’ rather quietly refuse to go beyond the 90 volt lever. I found no significant decline in obedience in this condition. Although Milgram’s participants typically had little or no information about what others might do in this novel situation, they did have someone who was a bit of an expert in the room. The experimenter knew all about the study and had presumably seen numerous participants and learners in this situation before. His words and actions told participants essentially that ‘nothing is wrong here; continuing the shocks is the right thing to do’. In other words, participants may have gone along with the experimenter’s instructions not because he held a position of power, but because they were relying on his expertise (Morelli, 1983). It wasn’t until we started practising the procedures for my replication of Milgram’s studies that I realised what a difficult task the participant had been given. The teacher’s role required him or her to find and read the correct test item, note the learner’s response, determine whether the response was correct and inform the learner, give the correct response for incorrect answers, find the next shock lever, announce the strength of the shock, administer the shock, and then repeat the process. Any pauses or delays were met immediately by the experimenter with prods to continue or instructions of what to do next (e.g. ‘The next word is...’). From the outset, participants were instructed to move the process along ‘at a brisk pace’. The brisk pace not only kept things moving, it also prevented Milgram’s participants from stopping to ponder whether they should end the study or continue with the next item. What would have happened if, after first hearing the learner’s protests, the experimenter had given the teacher a few minutes to decide what he wanted to do? My guess is that significantly fewer participants would have opted to continue. People who insist they would never have gone along with the experimenter’s instructions fail to recognise that participants did not have the benefit of putting the question they were facing in perspective and considering the arguments on both sides. We now know that demands for our attention make it difficult to engage in this kind of cognitive processing. Researchers find that giving participants distracting tasks interferes with their ability to evaluate the quality of arguments (Harkins & Petty, 1981) or to make accurate attributions for other people’s behaviour (Gilbert et al., 1988). Participants in these settings typically attend to the most salient information (e.g. an expert telling them it is OK to continue) and rely on cognitive shortcuts or heuristics to guide their behaviour. Particularly in the early stages of Milgram’s study, this kind of information processing likely made it easy for participants to start down the slippery slope of doing what the experimenter told them. In sum, the quest to understand why average citizens would administer what they must have perceived as potentially dangerous electric shocks to another person is as strong today as it was when Milgram first reported his findings. Moreover, recent innovations have provided researchers with some new tools with which to address many of the unanswered questions generated by the original obedience studies. It seems unlikely that we will see the end to Milgram’s influence on the field any time soon. Bem, D.J. (1972). Self-perception theory. In L. Berkowitz (Ed. ), Advances in experimental social psychology (Vol. 6, pp.1–62). New York: Academic Press. Burger, J.M. (1999). The foot-in-the-door compliance procedure: A multiple-process analysis and review. Personality and Social Psychology Review, 3, 303–325. Burger, J.M. (2009). Replicating Milgram: Would people still obey today? American Psychologist, 64, 1–11. Cheetham, M., Pedroni, A.F., Angus, A. et al. (2009). Virtual Milgram: Empathic concern or personal distress? Evidence from functional MRI and dispositional measures. Frontiers of Human Neuroscience, 3, ArtlD 29. Cialdini, R.B., Reno, R.R. & Kallgren, C.A. (1990). A focus theory of normative conduct: Recycling the concept of norms to reduce littering in public places. Journal of Personality and Social Psychology, 58, 1015–1026. Dambrun, M. & Vatine, E. (2010). Reopening the study of extreme social behaviors: Obedience to authority within an immersive video environment. European Journal of Social Psychology, 40, 760-773. Gilbert, D.T., Pelham, B.W. & Krull, D.S. (1988). On cognitive busyness: When person perceivers meet persons perceived. Journal of Personality and Social Psychology, 54, 733–740. Gilbert, S.J. (1981). Another look at the Milgram obedience studies: The role of the graduated series of shocks. Personality and Social Psychology Bulletin, 7, 690–695. Harkins, S.G. & Petty, R.E. (1981). The multiple source effect in persuasion: The effects of distraction. Personality and Social Psychology Bulletin, 7, 627–635. Harmon-Jones, E. & Harmon-Jones, C. (2007). Cognitive dissonance theory after 50 years of development. Zeitschrift fur Socialpsychologie, 38, 7–16. Jaffee, Y., Shapir, N. & Yinon, Y. (1981). Aggression and its escalation. Journal of Cross-Cultural Psychology, 12, 21–36. Latane, B. & Darley, J.M. (1970). The unresponsive bystander: Why doesn’t he help? New York: Appleton-Century Crofts. Morelli, M. (1983). Milgram’s dilemma of obedience. Metaphilosophy, 14, 183–189. Packer, D.J. (2008). Identifying systematic disobedience in Milgram’s obedience experiments: A meta-analytic review. Perspectives on Psychological Science, 3, 301–304.